If you are a beginner sewer or perhaps recently received/bought a sewing machine, you may feel overwhelmed getting started. In this post I will describe and show you the various parts of a sewing machine. I use a basic Singer Machine; however, most of these parts are transferable across machines. Hopefully, this provides you with the resources and confidence to get started using your machine! 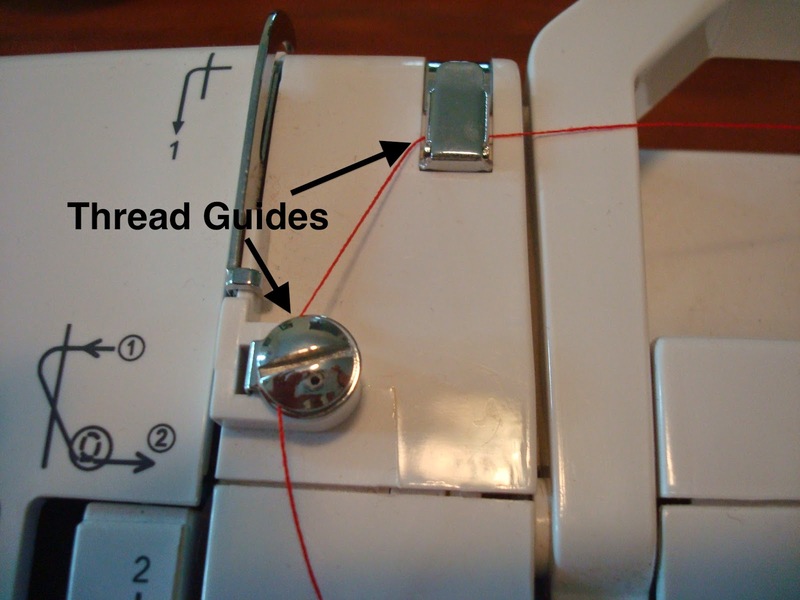 For instructions on how to thread your sewing machine, visit my previous post: Threading a Sewing Machine. First, here are the sewing machine parts on the top of the machine. Spool Pin: a plastic (or metal) "pin" where you place the spool of thread. Spool Pin Cap: plastic cover placed on the spool pin to secure the spool of thread in place. Thread Guides: devices on the top of the machine that carry the top thread from the spool to the needle. 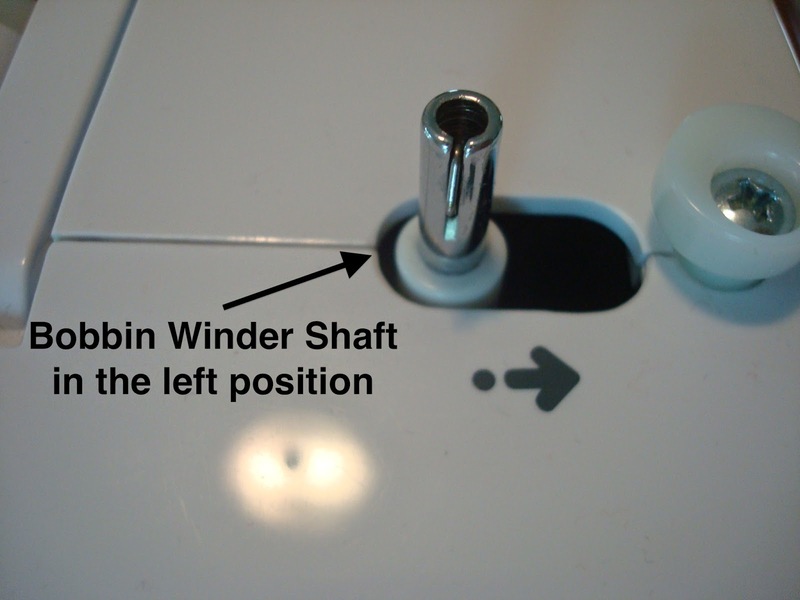 Bobbin Winder Shaft: a pin used to hold the bobbin while winding the thread onto the bobbin. The left position is its default position. 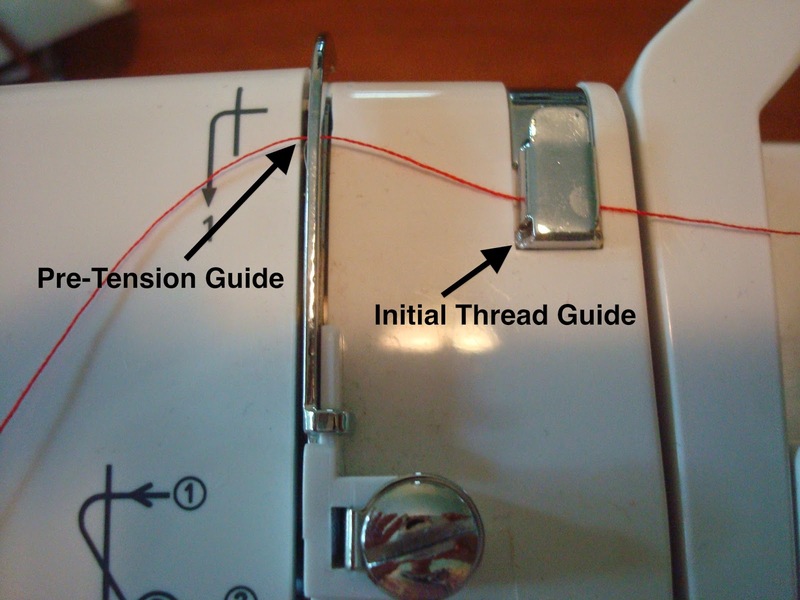 Refer to my post on Threading a Sewing Machine for instructions on how to wind the bobbin thread. 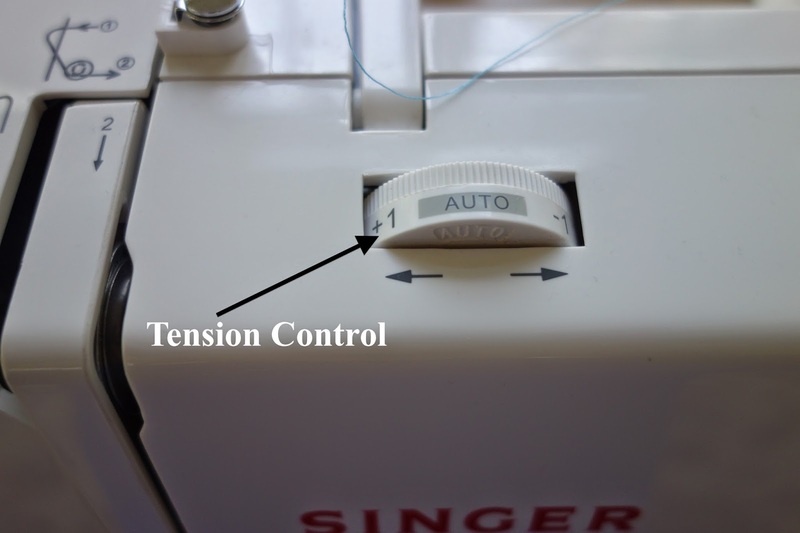 Tension Control: dial that adjusts the tightness or looseness of the stitch. Here is a description of the sewing machine's parts as seen from the front. Bobbin Case Chamber: area where bobbin is placed. 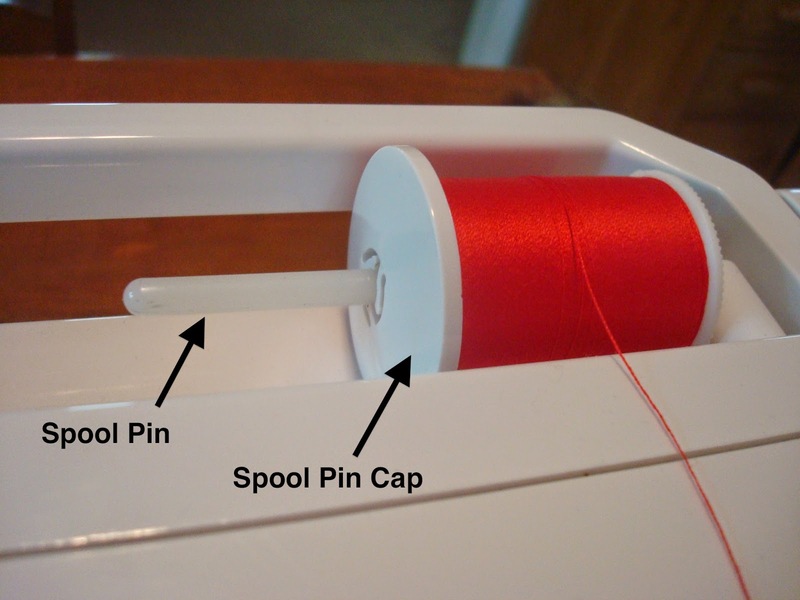 Bobbin: small plastic or metal spool where thread is wound; this thread will be used for the back-side of the stitch. 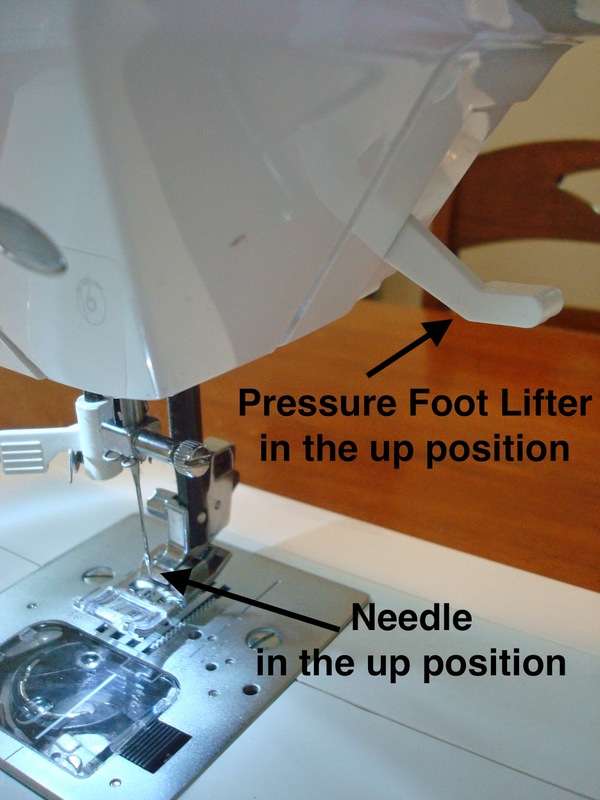 Pressure Foot: place in the down position when sewing to hold fabric in place. Needle: thread goes through the needle and creates the front-side of the stitch. 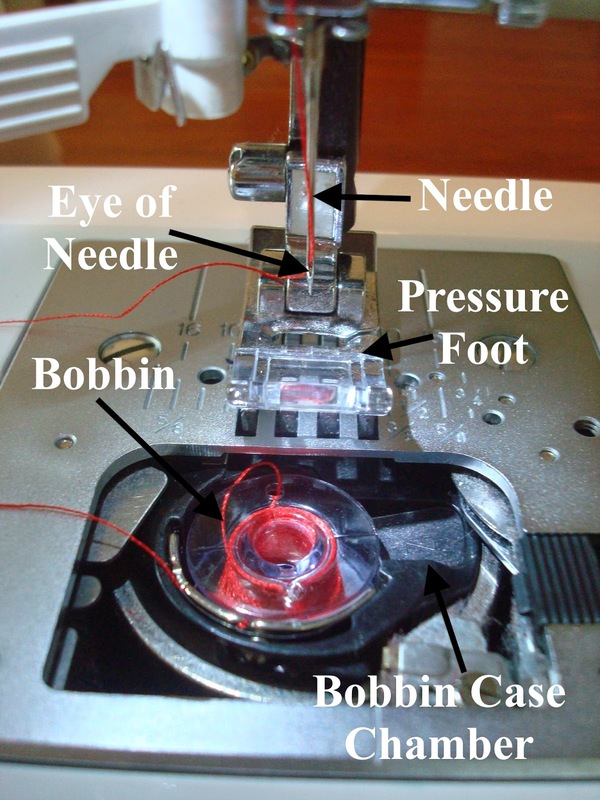 Eye of Needle: hole in the needle where the thread goes through. Bobbin Cover Plate: plastic piece that goes over the bobbin chamber. Release Button: button that releases the bobbin cover plate. Pressure Foot Lifter: lever that moves the pressure foot in the up or down position. 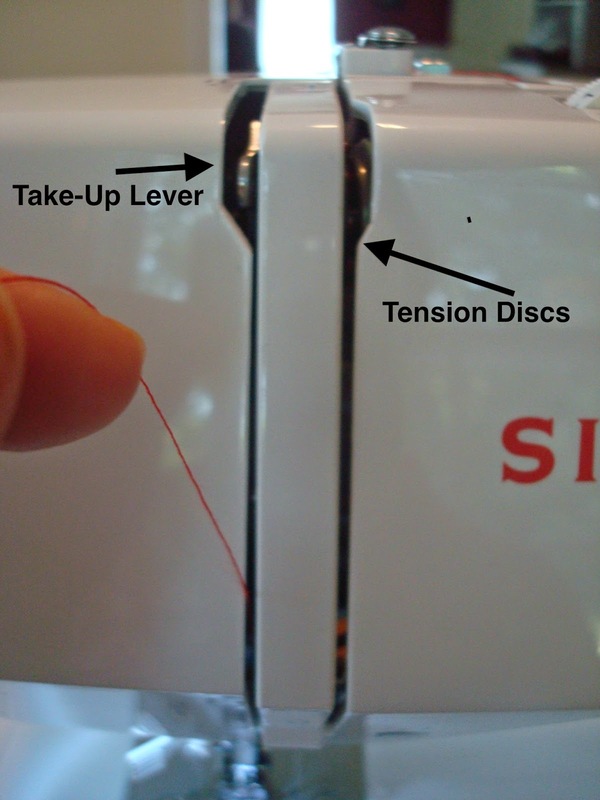 Tension Discs: regulates the looseness or tightness of the stitch; this can be adjusted using the tension control. Thread Take-Up Lever: feeds the thread from the spool to the needle and will go up and down when the needle is in motion. 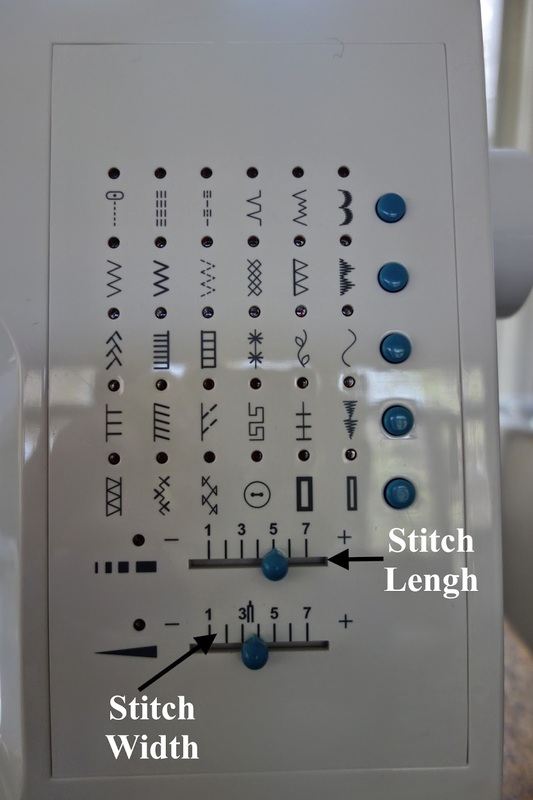 Reverse Stitch Button: allows the machine to stitch backwards in order to create a backstitch, or a "knot". Here are a few other parts to the sewing machine. 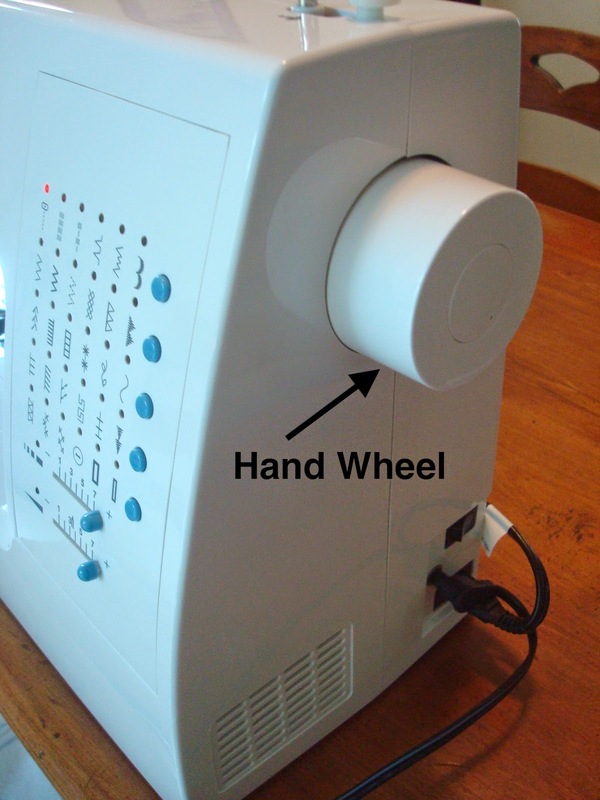 Hand Wheel: round knob that manually raises and lowers the needle. 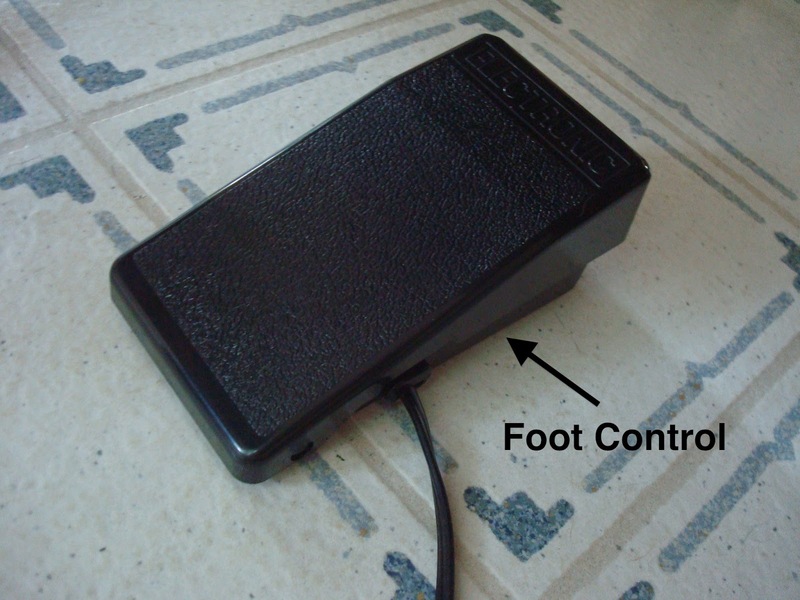 Foot Control: device controlled by the foot that determines the speed of the needle.